Need to make a CURRICULUM connection to THANKSGIVING? 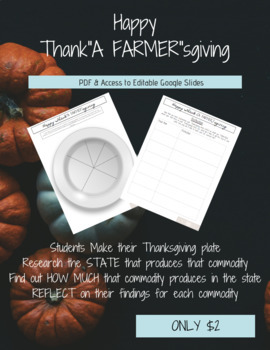 Why not research WHERE your Thanksgiving meal comes from and how that commodity impacts the economy? Use this back/front worksheet to research and reflect about Thanksgiving meals. You get the PDF version and the EDITABLE Google Slides Version!